Installing and maintaining device drivers can be a chore, especially if you have to constantly download, and install drivers from the internet, or using the CD-ROM that came with the device you are connecting to your computer. You can take care of that part by downloading a device driver scanner from the internet. The scanner will automatically scan your device, and identify the drivers which need to be updated. You simply have to click, and the drivers will be updated right away. In case you have to reinstall the operating system on your device, regardless of the reason, you will have to re-install all the drivers that were previously on the system. This includes drivers for basic components to accessories, such as wireless keyboards and webcams. If you backup the drivers before reinstalling the OS, you won’t have to re-install the drivers. This can save you considerable time and hassle. There is always the risk that a device driver won’t work properly with your computer. In most cases, the only solution to this problem is re-installing or updating the driver for the device. If you have a backup for the device driver, you won’t have to download it again. In some cases, users have to search for the driver once more from the internet before they can download and install it. Drivers aren’t immune to functionality issues either. Like any software, device drivers can get corrupted or stop working as well. You would be familiar with this scenario: a program stopped working, so you un-installed and then re-installed it. You would have to do the same for your device driver, unless of course you have a backup for it. Manufacturer’s keep producing new versions of drivers, but the thing with new versions is that they aren’t tested fully so there is a risk there may be a bug or any other issue. In that case, you won’t be able to use the device. 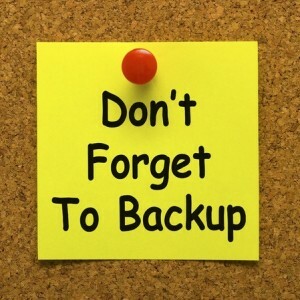 Instead, maintain a backup for the driver and just update it and you are good to go. In addition to the reasons mentioned here, you would know that it can be a real pain to locate the drivers you need online. If you have a backup for each device driver on your system, you won’t have to search for a driver, at least for the foreseeable future. It can be a huge convenience as you can escape the hassle associated with updating and upgrading device drivers.